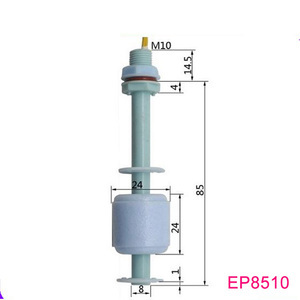 1. water float switch/hot water level sensor/magnetic float switches 2.Certificate:CE,RoHS 3. Paypal is OK. Customized Float Switches Working Systems float switch Working principle When the float ball rises or falls with the liquid to the level of the switch, The magnetic force of magnet which inside of the float ball will cause the reed switch to turn ON. When the float ball move away from the reed switch, the reed switch will turn OFF. Installation instructions 1.Should be mounted away from the inlet, or switch will caused malfunction by the fluctuations in intake. 4.Float action points have been ordered by the customer requirements adjusted at the factory, Please do not adjust the float position. Routine maintenance Periodically clear the guide rod and float on the dirt (as the media cycle may be). It will be widely applied in motor vehicles, industrial equipment, agricultural equipment and household appliances in the future. Each of our items is abided by providing to all industries a cost-effective solution for the needs to dispense liquids and paste in a controlled manner. We are committed to providing our customers with high quality items and good value for money, which will ensure satisfaction with a high level of dedication. 1 YRS Zhejiang Huantong Electronic Technology Co., Ltd.
7 YRS Shenzhen Dianyingpu Technology Co., Ltd.
1 YRS Foshan Yezon Sensor Instrument Co., Ltd.
Side-Mounted Water Oil Fluid Float Level Switch/Sensor With Reasonable Price Product description: Tuning fork level switch is a kind of new control switch, which is mainly depend on the tuning fork through the vibration principle to measure the level of material. Through the installation of the tuning fork on the base of the tuning fork vibration of a piezoelectric crystal in the resonance frequency. When the tuning fork and the medium contact, tuning fork frequency and amplitude changes, these changes are detected by the intelligent circuit, and converts it into a switch signal. 10 YRS Guangdong Kaidi Energy Technology Co., Ltd.
8 YRS Shanghai Feejoy Electronic Tech. 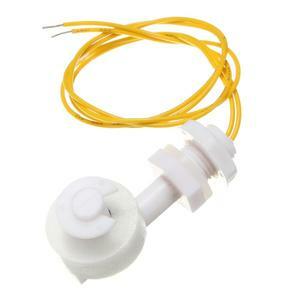 Co., Ltd.
Alibaba.com offers 2,713 water level sensor float products. About 27% of these are sensors, 1% are flow sensors, and 1% are relays. 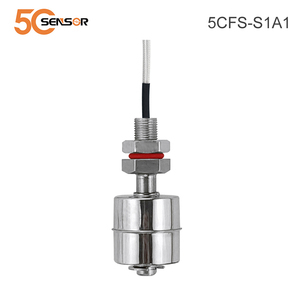 A wide variety of water level sensor float options are available to you, such as position sensor, level sensor, and gas sensor. 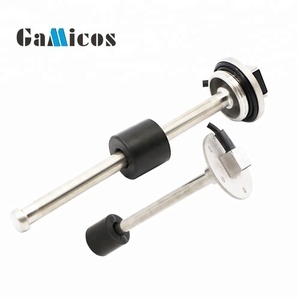 You can also choose from current sensor, capacitance sensor, and hall sensor. As well as from analog sensor, digital sensor, and switching transducer. And whether water level sensor float is free samples, or paid samples. 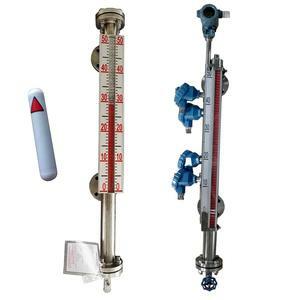 There are 2,713 water level sensor float suppliers, mainly located in Asia. 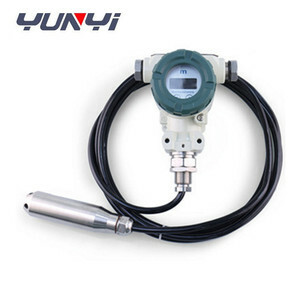 The top supplying country is China (Mainland), which supply 100% of water level sensor float respectively. 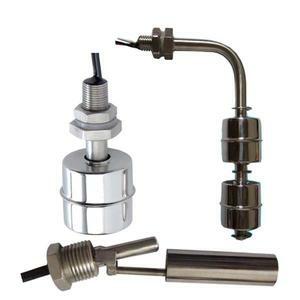 Water level sensor float products are most popular in North America, Domestic Market, and South America. You can ensure product safety by selecting from certified suppliers, including 1,471 with ISO9001, 573 with Other, and 132 with ISO/TS16949 certification.